Barbara graduated from Wroclaw University (Poland) in 2010 and spent two years in general practice before moving to the UK to further pursue her professional development abroad. Since then she has working in several busy hospital environments, involved both in soft tissue and orthopaedic surgery. 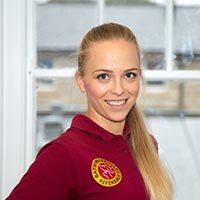 She completed her Certificate in Small Animal Surgery in 2017 and joined Bath Veterinary Group in July 2018 as a Referral Surgeon. Barbara continues to develop her surgical skills attending numerous surgical masterclasses throughout the year. Outside work she enjoys travelling, outdoor activities and training mixed martial arts.